A lovely globe to gaze at.. 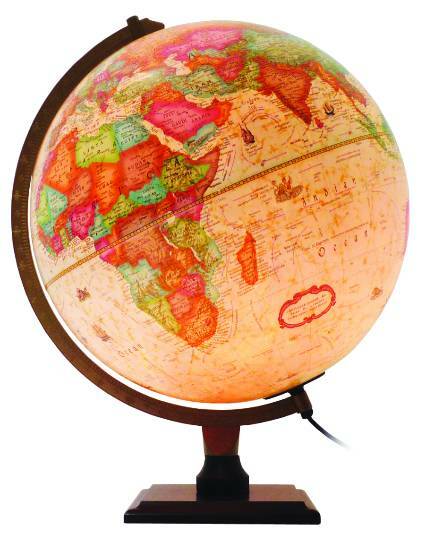 Designed and assembled in the UK, this illuminated globe offers traditional styling with the added feature of a subtle glow at the flick of a switch. Each component has been carefully selected for its quality. The vinyl globe feature up-to-date cartography with clear political boundaries and traditional colours, ensuring timeless appeal. This is a mains operated globe (made using sustainable materials) and comes complete with a replaceable 15 watt bulb and a booklet on how to use, enjoy and care for your globe.